This amazing herd sire has 28 crias on the ground, 12 black, 10 brown, 1 grey, and the rest fawns. No whites even when bred to white! He has produced several foundation animals for Wilkins Livestock that have won in the show ring. 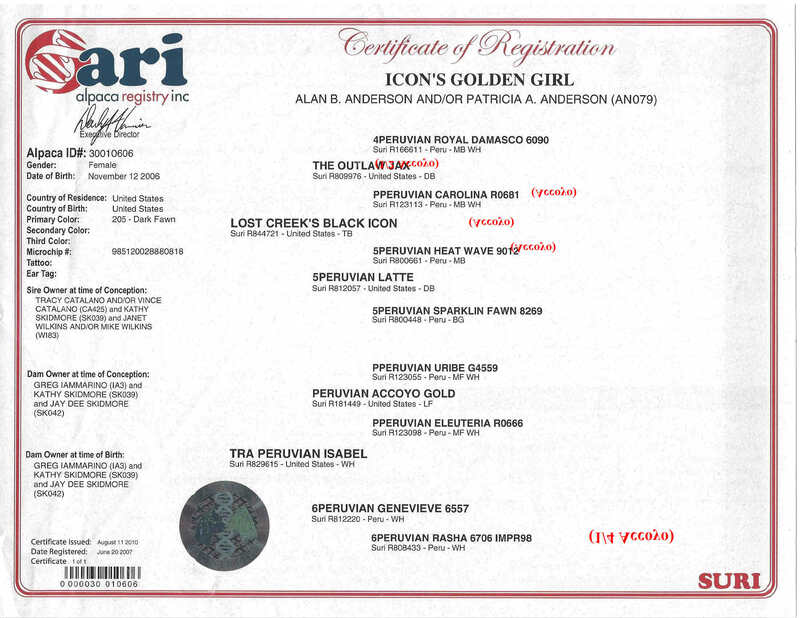 Isabel is the daughter of Accoyo Gold and a 6P import, 6Peruvian Genevieve. She produced 4 dark colored offspring when bred to dark sire. 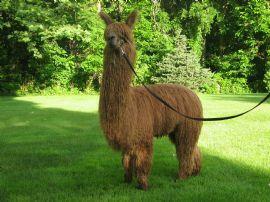 She is owned by Jay & Kathy Skidmore of Lost Creek Alpacas. 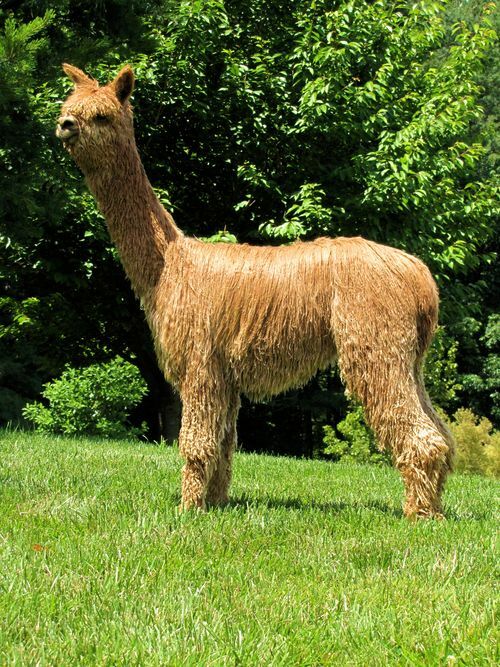 Gidget's first cria is a beautiful light brown male, Topojack by Accoyo Tecate, and was sold. She was bred to WRSR Mercury Rising, our silver grey super male and delivered a beautiful light fawn female in 2010, WRSR Manzanita by Mercury Rising. Manzanita has beautiful fine fiber with excellent lock architecture on regrowth. 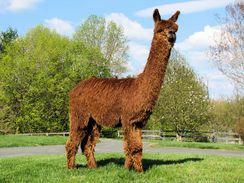 Gidget's 2011 cria was by our multiple champion WRSR Accoyo Razor, and produced a beautiful solid dark fawn male, WRSR Serengeti by Razor, now himself a multiple champion. Gidget's strong color and fiber genetics make her a top foundation dam. 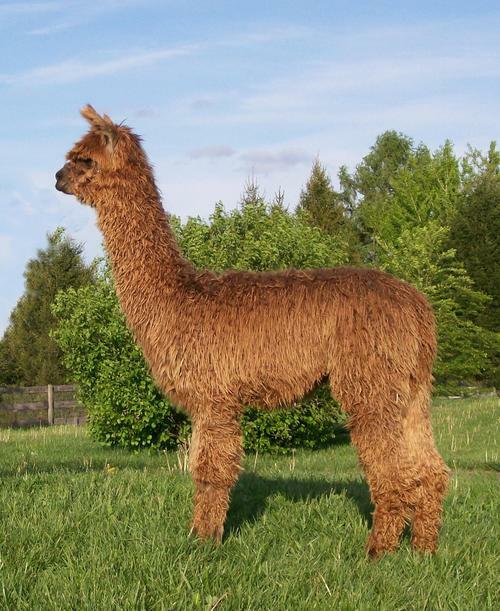 Gidget was bred to Macgyver's Balboa for a summer 2014 cria, and she delivered a solid medium brown female, WRSR Olympia by Balboa, on 5/27/14. Olympia has a beautiful slick fleece, and sheared a total of 6.7 lbs with a blanket weight of 3.01 lb on her 1st shearing at 11 months! 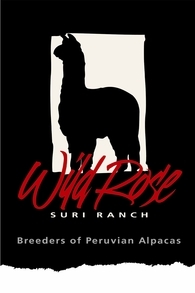 She has been a great production dam for us and consistently produces beautiful crias with high fleece weights and luster. 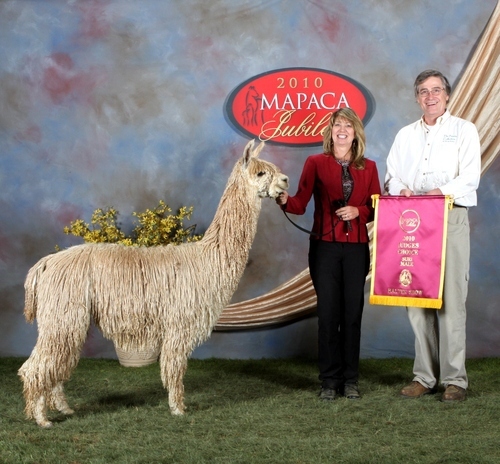 She is currently bred to WRSR Accoyo Allegiance's Avanti, 2010 MAPACA Jubilee Judges Choice Male Suri and Champion. She gets pregnant usually on the 1st breeding, and has a nice personality when pregnant, making her easy to handle.